CYCI #140 - We're Back!!! Awhile back, we were saddened to learn our amazing challenge blog was going to disappear.... but fantastic news!!! We are back, everyone!! We will be trying out a new format and our challenges will be twice a month - PLENTY of time to join in and play along!! I LOVE kraft - it is my ultimate fave - and this color combo shouts "Fall" - which made me happy as I am full steam ahead with Christmas cards. This was a wonderful break! 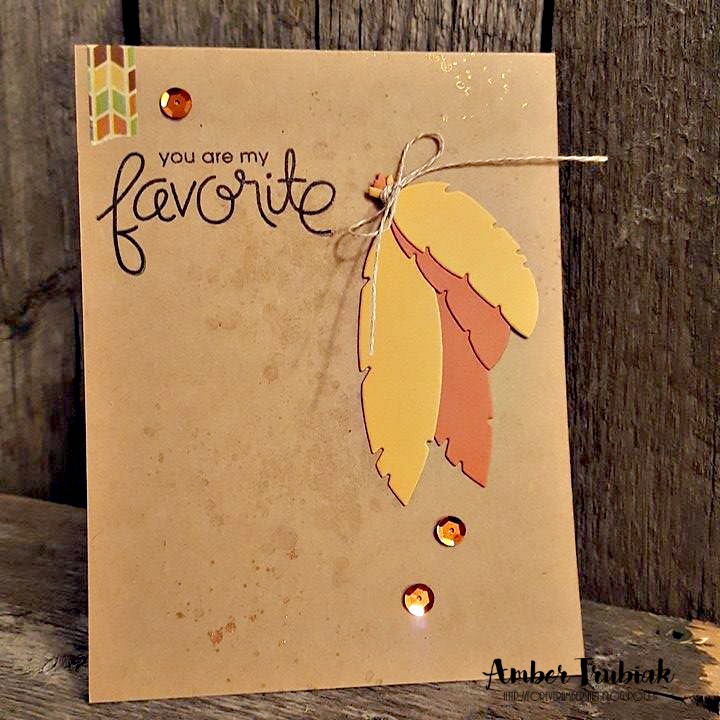 My combination of colds is Recollections cardstock, and I cut the feathers with Stampin Up Feather dies. I inked up SU's Gorgeous Grunge stamp set in some Crumb Cake ink and stamped it off before using Celestial Copper Delicata Ink. I grabbed a sentiment from Paper Smooches "Uplifters" stamp set and then used a wee bit of washi, linen threads and some blingy copper sequins to finish everything off! 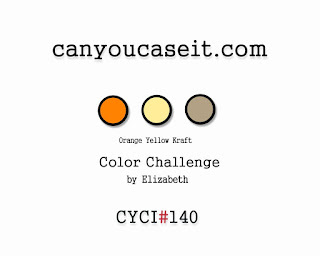 I really hope you are as excited about CYCI's return - and join us for our challenges!! !